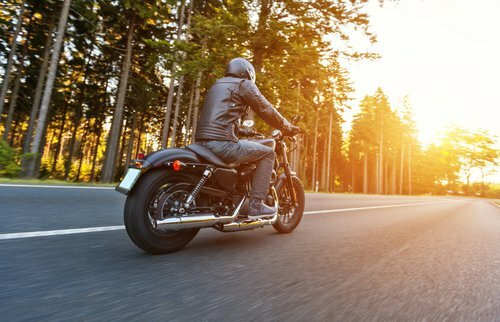 As a St. Louis motorcycle crash injury attorney, I understand that so often times, inattentive drivers who are not keeping a careful watch for motorcycle drivers can cause life-changing, or worse, life-ending injuries to motorcyclists on the road. When motorcycles are hit by cars or trucks, the damages to the driver of the motorcycle are heartbreaking. As a motorcycle enthusiast myself for several years (going back to my first dirtbike as a child) I understand that motorcycle drivers do everything they can to watch out for dangerous, inattentive drivers, but sometimes nothing can be done to avoid a crash. As a motorcycle rider in Missouri, we are taught to always be in defensive mode while on our bikes. SIPDE, (Scan, Identify, Predict, Decide, Execute) is taught to all riders as part of the permit and licensing process for a motorcycle license endorsement. One thing riders understand however, is that even though we might do everything in our power to be safe while riding, there are drivers out there who fail to keep a lookout for motorcycles and eventually, crashes are going to happen. When crashes happen, it is imperative to have the right lawyer for your representation. Motorcyclists, even more so than other drivers are at risk to suffer terrible injuries during a crash. Because so much can be at stake after a motorcycle crash injury, you must make sure that your interests are properly being represented to the insurance companies in order to ensure you get the best treatment possible, and are compensated fairly for all of your damages. 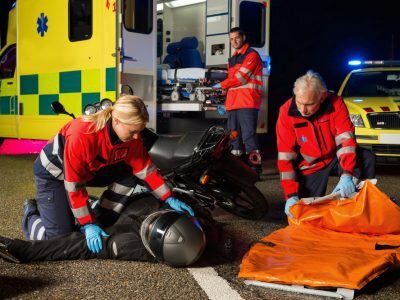 If you have been injured in a motorcycle crash that was caused by another driver’s negligence, an experienced attorney can make an incredible difference in helping ensure you get the best care possible, that you are not stuck paying medical bills you cannot afford, and that you collect the money you are owed by those responsible. It is impossible to change the past and make the crash go away, but we can work together to ensure that you get to the best doctors in order to have as successful of a recovery as possible. I also work with medical providers and billing parties to ensure that medical bills are not going to negatively affect my clients. Often times, by providing special notice to a medical provider can help to avoid them sending unpaid bills to debt collectors, and they will wait until the case is resolved to collect payment for services from the at-fault party’s insurance company. Lastly, as a motorcycle crash injury lawyer, I work with my clients to effectively represent their interests to ensure that they are rewarded with a fair settlement to cover all damages, including medical, pain and suffering, lost wages, among others.